San Diego State has been to a school record six consecutive NCAA Tournaments. With the Aztecs games on Friday we have decided to take a look at SDSU’s history in the NCAA Tournament. San Diego State is 5-8 in 9 NCAA Tournament appearances dating back to 1985. The NCAA started recording NCAA Tournament data in 1985. SDSU did play in two NCAA Tournaments before data was recorded in 1985. SDSU lost both of those games 90 to 80 to UNLV (1975) and 74 to 64 to UCLA (1976). Those two games have not been added into any of our charts. San Diego State participated in six NCAA Tournaments (1975, 1976, 1985, 2002, 2006, 2010) before they won their first ever game in the NCAA Tournament back in 2011. That 2011 team was the best team in the history of San Diego State University. They were the 1st Aztec team to ever land in the AP Top 25 poll. The first SDSU team to win 30 + games in a single season and the first Aztec team to ever win a game in the NCAA Tournament. In 2011 the Aztecs defeated Northern Colorado in first round 68-50, defeated Temple in second round, 71-64 and lost to Connecticut in regional semifinal 74-67. That 2011 team was something special. A team that many Aztecs believe should have played for a national championship. 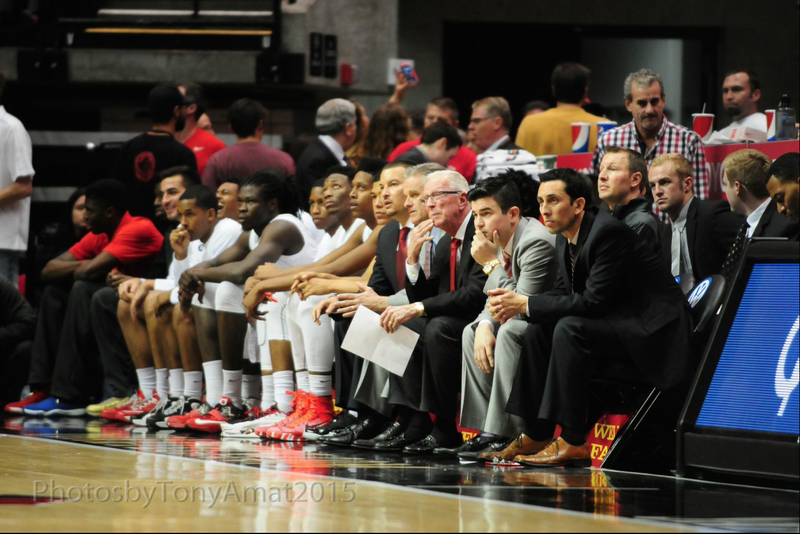 The Aztecs gained national attention for knocking off west coast basketball giant No. 11/12 Gonzaga in Spokane 79 to 76 on national television. San Diego State had three players on that 2011 team who have played in the NBA. NBA Finals MVP and the most famous current Aztec in the NBA Kawhi Leonard. Malcolm Thomas has played on four different NBA teams and Jamaal Franklin has bounced around the NBA. We have separated the charts. The first chart shows all of the SDSU losses in the 1st round of the NCAA Tournament. The first chart may be confusing to basketball nerds due to the 1st Round. The 1st four was added in 2011 by the NCAA. That is why you see round #1 on the first chart. Chart #2 shows SDSU advancing out of the 2nd round of the NCAA Tournament.